PRICE IMPROVED Showing for Back Up Offers! The Madison Model situated on a 2.85 acre homesite with fantastic water views of Deep Creek! This new model boasts 4 BR, 2.5 Baths, expansive morning room and so much more! Final touches include granite countertops, stainless appliances, gas FP and more! Unfinished basement with 9' ceilings and bathroom rough in! Contact Victor Wazen for showings! 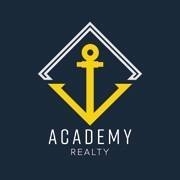 I am interested in 1150 Doral Drive, Annapolis, MD 21409.